Should A Bat Flip Warrant A Flip Out? Carlos Gomez is in the news once again, and once again it’s not on a high note. If you recall back to September 25th of last season, Gomez, after blasting a homer against the Braves and admiring it as it soared into the seats, had a few choice words for Freddie Freeman and Chris Johnson as he rounded the bases. Brian McCann, the Braves’ catcher at the time, didn’t approve of Gomez’s actions and blocked his path to home plate, causing both Gomez and McCann to flare up and both benches to clear. On Sunday afternoon, it was deja vu for Gomez. While it involved the Pirates this time instead of the Braves, Gomez launched what he thought was a home run and proceeded to flip his bat before jogging down towards first. The ball didn’t have as much behind it as originally thought, however, causing it to hit off the top of the wall and roll away from the centerfielder, Andrew McCutchen. With his speed, Gomez still wound up at third base, where pitcher Gerrit Cole, who was backing up the base, let his feelings be known regarding Gomez’s jog. As happens with most fights on the field, one side has their own opinion to what happened and who was at fault, with the other side having just the opposite to say. Gomez remains adamant that he did nothing wrong, saying, “I’m not apologizing for nothing I did. This is my job; I’ve been doing it for eight years like that. They know I play like that. It’s not to disrespect nobody.” But not everyone agrees with that. What it comes down to is your definition of what “showing up” the opposing team means. In this particular instance with Gomez, I feel this is in fact the way he plays, and therefore it shouldn’t have caused such a big fuss. Gomez is well known for his playing style, and the bat flip should’ve been expected from him. However, with that said, Gomez is, in my mind, the one to blame for the fight. Sure, if Cole hadn’t said anything to Gomez, all would’ve been well. But Cole was just letting his thoughts be known. He has the same right to show emotion as Gomez does. Carlos Gomez is a great player, and like some players, it takes a mentality such as his to succeed at the big league level, and therefore I’m not saying he’s a bad guy or that he needs to tone down his antics. I enjoy his “celebrations”, as some have coined them, and don’t really want them to stop, as that’s who he is. However, he needs to realize that with his bat flips and slow trots comes trash talk from the opposing team, and he can’t let that get the better of him. It’s all just part of the game. Money talks. That was proven time and time again this offseason. As usually happens, nine times out of ten, the team that offers a player the most amount of money will acquire the prized player; no matter if that team won the World Series the previous year or finished dead last. Offer a player more than any other team and you’ll likely have him on your squad for the next year, and even beyond in some cases. There’s no better example of that from this offseason than the Mariners landing Robinson Cano on a 10-year, 240 million dollar contract, increasing his pay from the 15 million he earned with the Yankees in 2013 all the way up to 24 million for t he next 10 seasons. 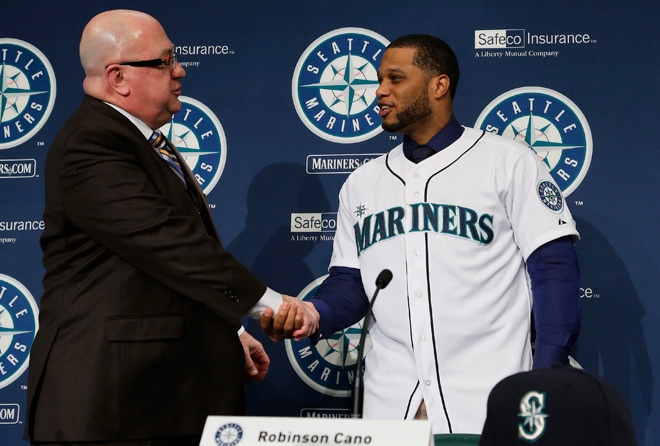 While the Mariners undoubtedly overpaid for Cano, no other team offered him as much, and therefore he will play 81 games (assuming he doesn’t get injured) up in Seattle in 2014. But that could mean a noticeable statistic drop for Cano this season. Safeco Field is known for not being a home run friendly park. Cano goes from Yankee Stadium, with a short right field porch great for lefties like himself, where he blasted 25 or more home runs each of the past five seasons (given, not all of those were at Yankee Stadium), to Safeco field, where many are predicting that his numbers will fall. While I’m not saying that Cano is going to be a flop in Seattle — he’s far too good for that — I do believe that 2014 could be a slightly down year by his standards. Curtis Granderson is another example of a player whose stats could tumble in 2014. Although he was injured a lot this past season, Granderson launched over 40 home runs the previous two years, and while he usually doesn’t post a high batting average, he can be a big part of any team. But I’m not sure he can amass the same type of numbers at Citi Field, where he will spend the next 4 years in which he’ll take in 60 million dollars, as he did at Yankee Stadium. Like Cano, Granderson is losing the home run hitting paradise for a lefty at Yankee Stadium and is entering a pitcher’s ballpark. Moving across town, Granderson could have a good, but not amazing (like previous seasons), 2014. Jhonny Peralta could also wind up being a disappointment. Peralta’s drop in production won’t likely come from a ballpark change, but rather the fact that players coming of a performance enhancing drug suspension, such as the one Peralta served in 2013, don’t historically do all that well; such as Melky Cabrera in 2013. Getting an increased pay of over 9 million dollars for next year, there is a lot of controversy surrounding Peralta this coming season, as many people feel he didn’t deserve that kind of contract after he was found to have used PED’s. Nonetheless, Peralta will spend 2014 with the Cardinals, where it will be interesting to see if he performs as hoped. But the whole increased pay leading to decreased stats doesn’t hold true for every player. Some players could actually benefit greatly from a change in venue — Jacoby Ellsbury more than possibly anyone else. 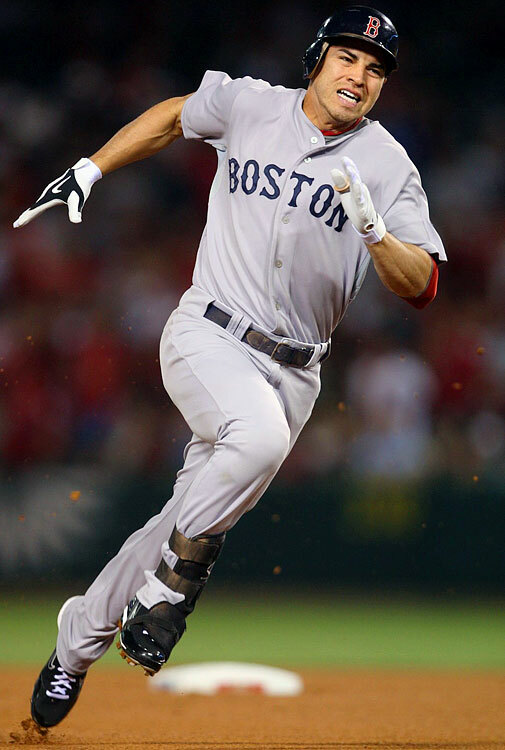 Ellsbury will be part of the Yankees for the next 7 seasons, after signing a 153 million dollar contract this offseason. That comes out to an increase in pay from 9 million in 2013 to 21 million this season, and I believe, although the Yankees overpaid for him, Ellsbury will go a long way in helping the team in 2014 and beyond. I don’t think Ellsbury will have a season such as the one he put together in 2011, with 32 homers and 105 RBI’s, however, I do think he’ll improve from the 9 home runs and 53 RBI’s last season, with the aid of the short porch in right field. If he can merely stay healthy — that being a problem for him over his career — Ellsbury could really amass some great stats and have a big impact on the Yankees’ season. Brian McCann, being a lefty like Ellsbury, could also have a breakout season. After somewhat of a down year in 2013 — though, he still hit 20 home runs, for the sixth straight season — McCann should be able to put together a great season; and that’s exactly what the Yankees need him to do. Having received a five million dollar pay raise from last season, McCann’s stats should go up a bit in 2014, and therefore he could easily turn out to be one of the top five most valuable Yankees this season. Though you never know how a player will perform, I’d say it’s a safe bet to say that McCann’s presence will be felt all throughout 2014. 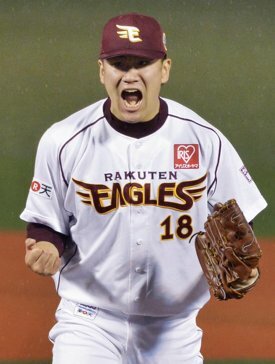 Last on my list is Shin-Soo Choo, but he’s definitely not least. Choo put together a fantastic 2013 season, and he was awarded for his efforts during the offseason, getting a 7-year, 130 million dollar contract, nearly doubling his salary from what he received last season. Choo isn’t a guy that’s going to hit you 30 or more home runs, knock in 100 runs, or steal 40 bases, but he is a natural at getting on base. Walking 112 times last season, Choo posted a .423 on base percentage in 2013, and that makes him extremely valuable to any club. Choo should once again post the same type of numbers, if not better, in 2014. Which of these players will have to better year? Leave a comment below. Things haven’t slowed down a bit since my blog post yesterday on the latest major trades and free agent signings. Numerous deals have taken place since, including Jarrod Saltalamacchia going to the Marlins, and Justin Morneau heading to the Rockies, as well as multiple other transactions. But I’m not focused on those. 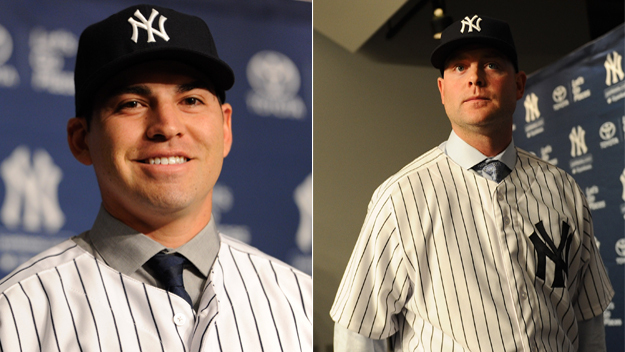 The only signing on my mind at the moment is the deal the New York Yankees gave to Jacoby Ellsbury. It’s a deal that Ellsbury would’ve been crazy to turn down, and that, in my opinion, the Yankees were crazy to offer. Ellsbury received a seven-year, 153 million dollar deal on Tuesday to play with the Yankees through 2020 — the third largest contract for an outfielder in MLB history. For a player who is injury prone — missing a good part of this past season, and playing in just 74 games in 2012, and a mere 18 in 2010 — this isn’t a very smart deal in the long run. But it’s not just the health of Ellsbury that makes this a bad deal in my mind. Ellsbury isn’t a player worth over 20 million dollars a year, given his career stats. In Ellsbury’s career best season, in 2011, he batted .321 with 32 home runs and 105 RBI’s to go along with 39 stolen bases. That’s a player worth this type of money. But considering the fact that Ellsbury hasn’t had another season even close to 2011 — his highest other seasons being 9 homers in 2008 and 2013, and 60 RBI’s in 2009 — I don’t feel he’s worth anywhere near that. The one thing you get with Ellsbury is speed, having stolen 52 bases last season, but that’s about it on a consistent basis. In addition to the amount of money, at thirty years old, Ellsbury is too old for a contract of this length, especially given his injury history. If Ellsbury was an everyday player, playing 160+ games every season, it would go a long way in convincing me that this deal will be worth it. But for a player with a career best 158 games in a season, and an average of 113 games a season for his career (not including his rookie year), this deal is bound to disappoint both the Yankees and their fan base, who need something to get excited about. The Red Sox really don’t lose anything by Ellsbury signing elsewhere. They have a good young prospect, Jackie Bradley Jr., who, while he doesn’t have the same speed as Ellsbury, is nearly equal in every other aspect of his game. Bradley should be able to stay healthier than Ellsbury has been able to, and will be a great asset to the Red Sox for years to come. While the Yankees are the Yankees and seem to be sticking with their historical trend of spending money for the players they want, I feel this is money wasted. Sure, you get a slightly above average player when healthy, and an impact player, at least for now, at the leadoff spot, but this likely ends any possible run for Carlos Beltran, who is reportedly close to a deal with the Royals. The Yankees could’ve used the money to sign a player of Beltran’s caliber (if not Beltran himself) to an outfield spot. But instead, they overpaid for Ellsbury. Nonetheless, the Yankees are supposedly still looking to lock up Robinson Cano at second base, so they have some more money to burn, apparently, even after spending a combined 238 million on Ellsbury and Brian McCann. So, who knows what they’ll do from here? Despite my pessimism, I truly hope that Jacoby Ellsbury proves me wrong and makes this deal well worth it for the Yankees. If he can have a fully healthy next few seasons, and subsequently post good numbers as their likely leadoff hitter, the Yankees could have a decent 2014 and beyond, especially with newly acquired Brian McCann behind the plate. But, from the way I’m viewing things, I just don’t see that happening.